Education research indicates that the academic achievement and school experiences of marginalized students improve when they have diverse teachers. Therefore, many national and state governments have implemented policies to recruit and prepare a more diverse group of teachers. However, little research has explored programs that prepare future primary mathematics teachers from marginalized populations in less developed or non-Western countries. 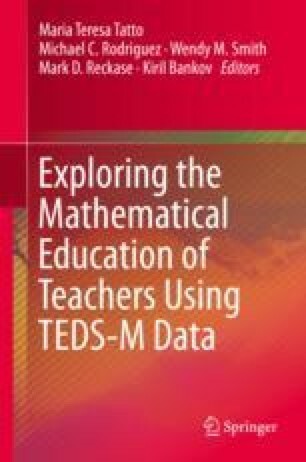 This chapter describes variation in the selection policies and goals of these programs, as well as future teachers’ reported opportunities to learn to teach diverse students in the United States, Chinese Taipei, Philippines, and Thailand. Results indicate some diversity among future teachers and alignment between program goals and teacher-reported opportunities to learn to teach diverse students.